← The beer is bigger in Bavaria! Have you ever been to these Italian restaurants that always cover the tables with a tablecloth-ish thing in paper? OK, then you know what I mean. Well, when my friends and I go to restaurants like this we usually spend our time waiting for the food playing pictionary on the tablecloth-ish thing. Now, for external people this might all sound very weird and we have had a lot of people looking at us in a confused way, so I thought I make an experience here, on the big world of the internet. The one who can guess what the below image is supposed to be (c’mon, you know the rules of Pictionary, don’t ya?) wins… and wins the original drawing signed by the artist (if desired… if not, you might wanna give it a try just for pride or whatever). Note: Anyone having attended a sunday-PP @Primavera is not allowed to participate in this contest or spread confidential information to outsiders. 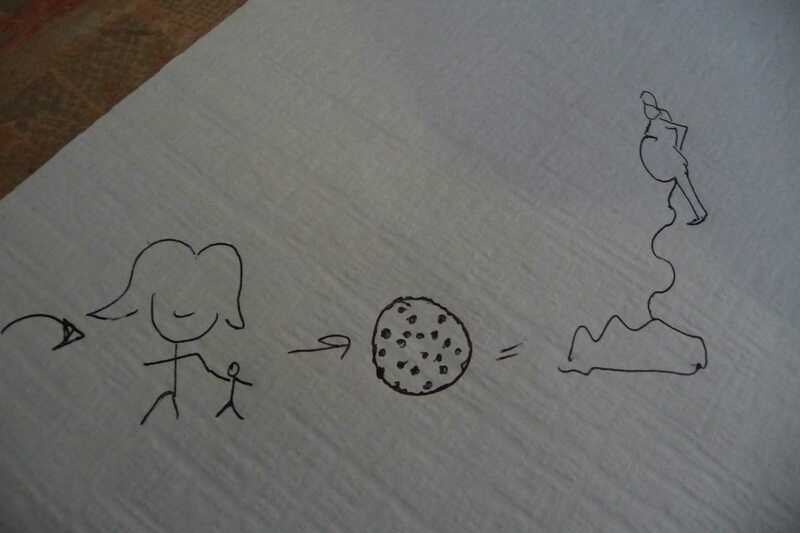 This entry was posted in Random-mostly funny and tagged competition, drawing, funny, Pictionary, pizza. Bookmark the permalink. I often have food babies – pizza babies, bread babies, chocolate babies, beer babies, Haribo babies.